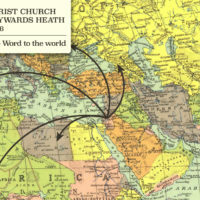 Click here to see the format for the day when we will hear about the Lord' work in the UK and overseas. 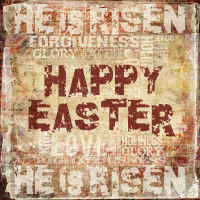 NOTE: no 6.30pm service! 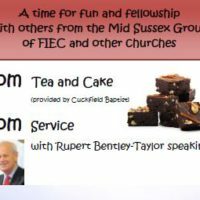 Come and join us for fellowship at Cuckfield Baptist Church. 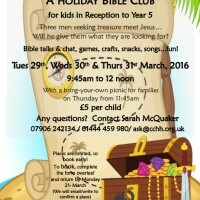 No 6.30pm service at Christ Church on Sunday 5 June. 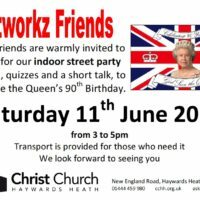 Senior friends are warmly invited to join us for our Indoor Street Party. 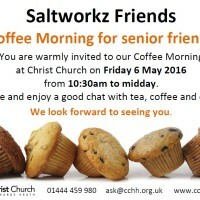 Come and enjoy a good chat with tea, coffee and cake!